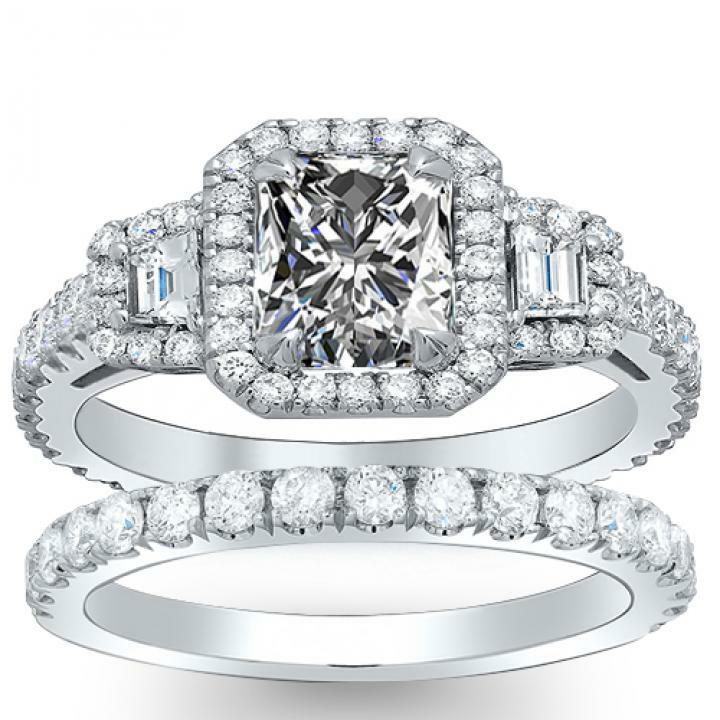 A full 1.22cttw of pristine accent diamonds sparkles in this elegant engagement ring halo setting. 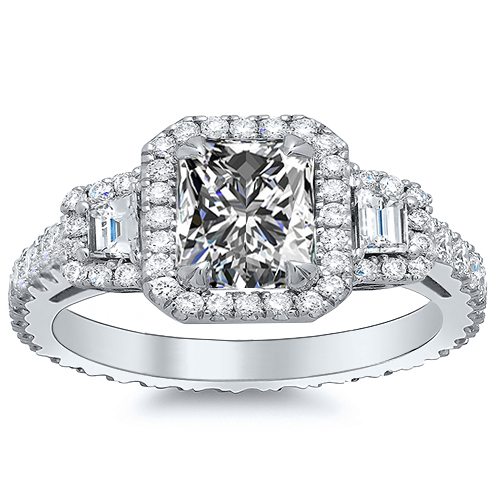 This elegant trapezoid accented setting is designed to hold an Emerald, Princess or Asscher center stone. Getting the right unique engagement rings style for your bride-to-be can be tricky, but DiamondMansion.com's amazing lovely halo settings and all natural, untreated diamonds makes finding the perfect ring simple!